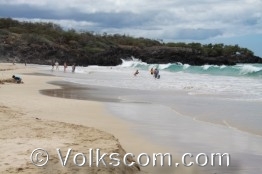 The beach at the Waimea Bay Beach Park is a beautiful sandy beach at the northern coast (North Shore) of Oahu. 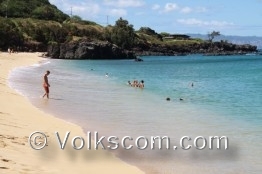 The beach at the Waimea Bay Beach Park is one of the best and most popular beaches at the island of Oahu and in Hawaii. (ranked: America’s Best Beach 2014). Hapuna Beach is situated in a bay in the northwest of Big Island (Hawaii). 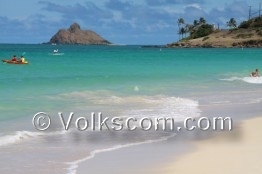 This beach belongs to the best and most popular beaches in Big Island (Hawaii). The Wailea Beach is located in Wailea in southern Maui (Hawaii). 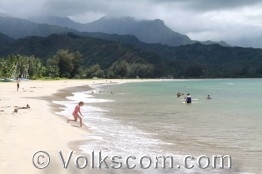 It is one of the best and most pupular beaches in Maui. 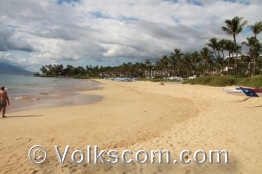 Two large hotels are located near the Wailea Beach.